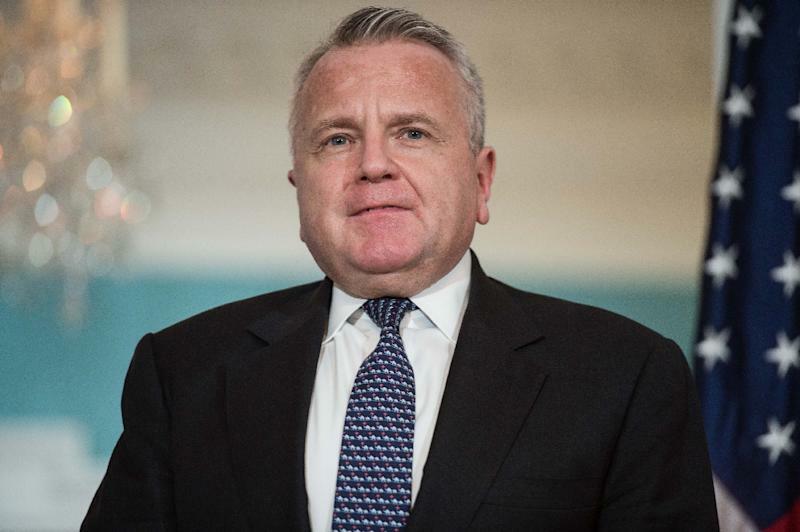 Washington (AFP) - US State Department number two John Sullivan departs Sunday for Iraq to meet with the country's new leaders, the highest level administration official to do so since their election. Sullivan will visit Baghdad and Arbil, the capital of the Iraqi Kurdish autonomous region, the State Department said. The US deputy secretary of state will meet with the newly elected speaker of parliament, Mohammed al-Halbusi, as well as President Barham Saleh and Prime Minister-designate Adel Abdel Mahdi. Long stalled after the May legislative elections, the political situation in Iraq has begun to move in recent weeks with the choice of the new leaders. The future head of government, an independent, still faces the difficult task of forming a governing team by early November as several coalitions continue to jockey for preeminence in the divided parliament. A veteran of Iraqi politics and an economist by training, Mahdi, 76, is regarded as sufficiently independent to be able to assemble a government despite fractures in the ruling elites. Mahdi has support from both Tehran and Washington, a necessary consensus in a country caught between two major allies, each the enemy of the other. Sullivan will "focus on expanding US-Iraq economic ties and underscoring the United States’ continued support for a strong, sovereign, and prosperous Iraq," the State Department said.